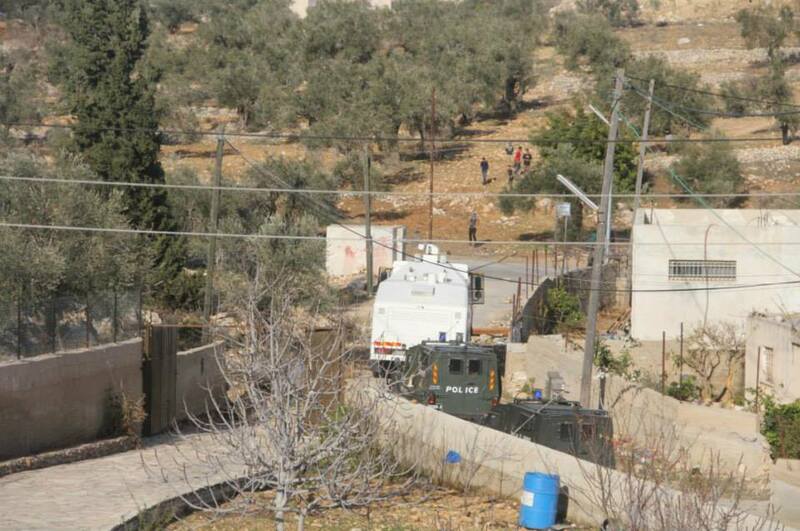 Israeli soldiers fired live ammunition against nonviolent Palestinian protesters in the West Bank village of Nabi Saleh on Friday. 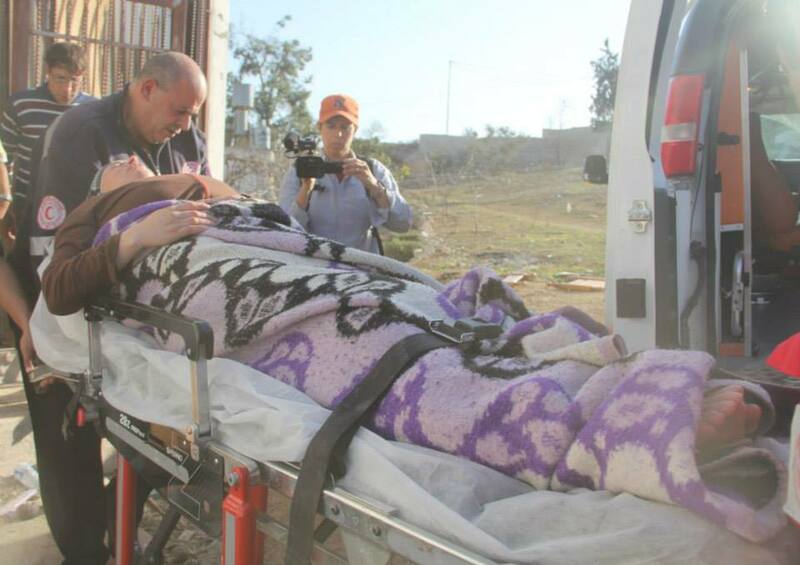 Two Palestinians were wounded, including activist Manal Tamimi. Tamimi was shot in her leg as she was standing and talking to her friends, only minutes after the protest had begun, along with another young Palestinian. 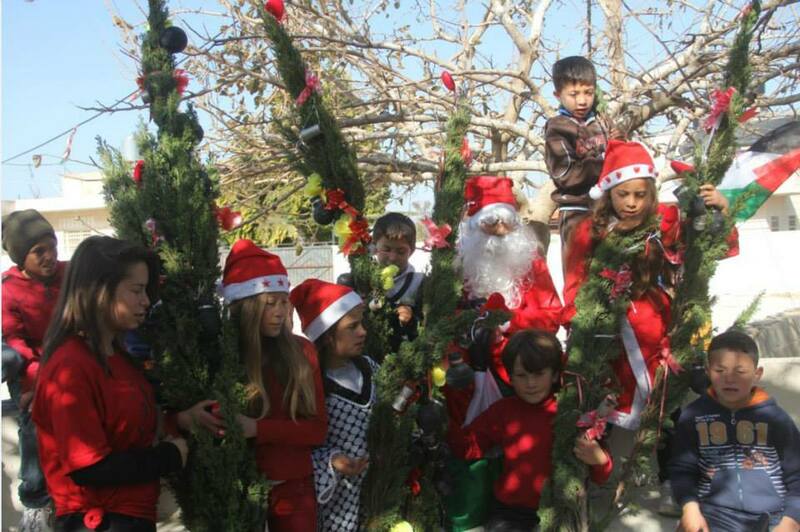 Both were transferred to a Ramallah hospital where they received treatment for their wounds. Activists report that the army has stepped up its use of live ammunition in the village over the past few months. 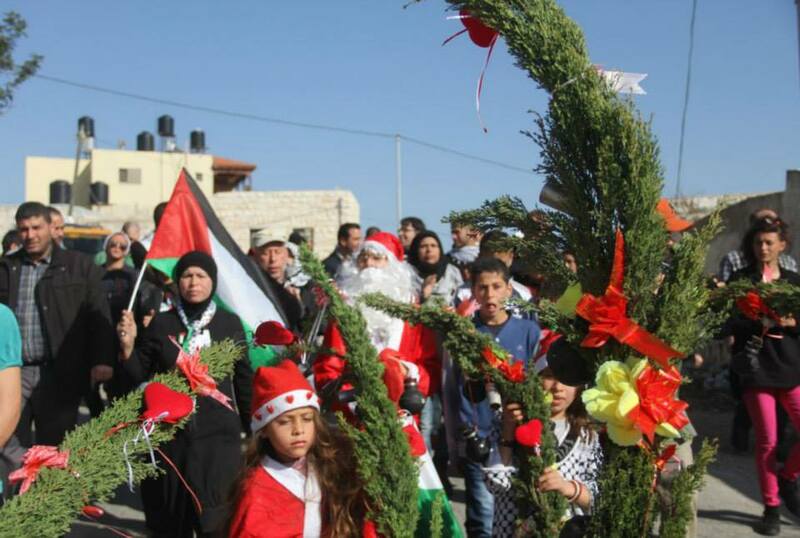 Nariman Tamimi, a prominent activist in the village’s Popular Struggle Coordination Committee, was shot with live ammunition on November 22, 2014. She is still recovering. 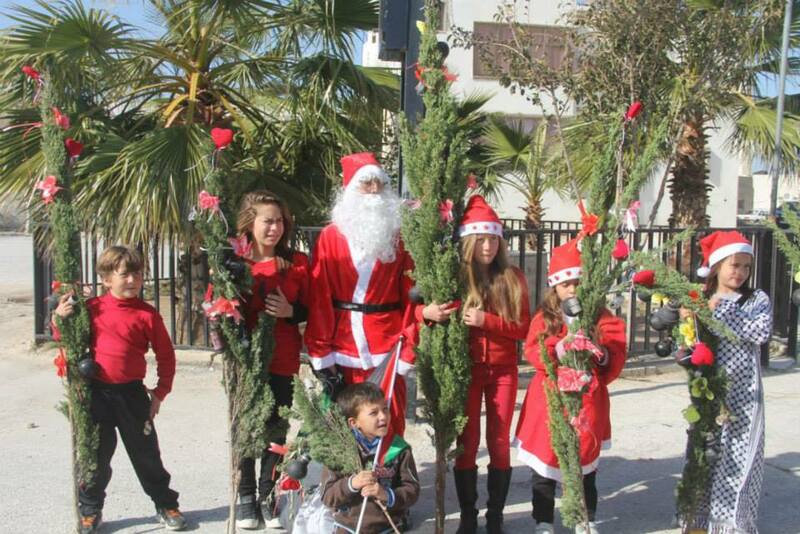 Nonviolent protests in Nabi Saleh began in 2009 after residents from the nearby settlement Halamish took took control over the Ein al-Qaws spring — owned by a resident of the village — preventing Palestinian access to their land. 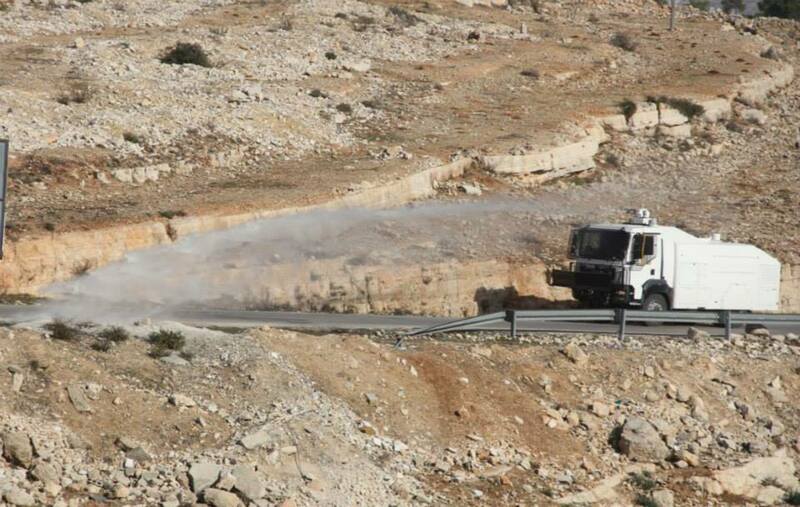 Press Release: Israeli Occupation Forces shoot female activist in Nabi Saleh, injure four others, including 2 journalists. Israeli forces shot a local female activist from Nabi Saleh Manal Tamimi today with rubber coated steel bullets from a close range. 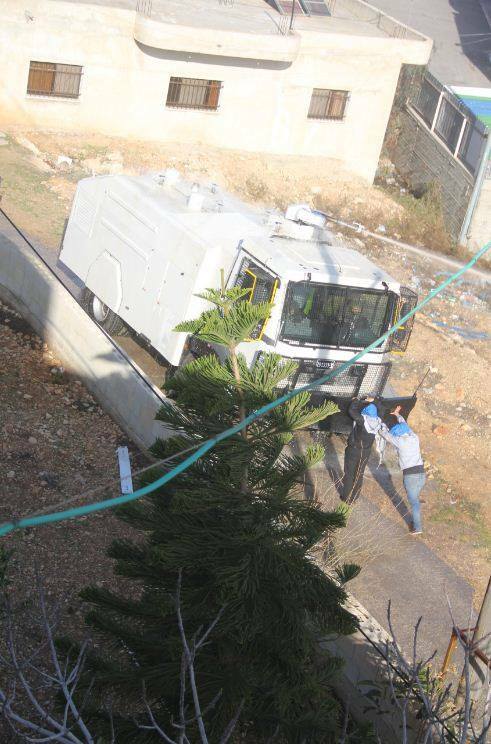 In addition to Manal, two more Palestinians and two journalists Abbas Momani and Maath Mash’al were lightly injured. 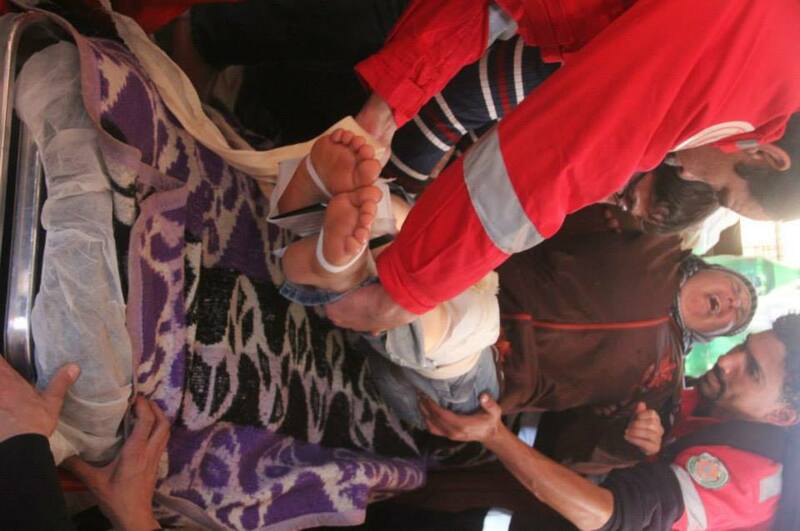 Manal was hit with 4 rubber coated steel bullets in her knees and legs and was later taken to a hospital in Ramallah. 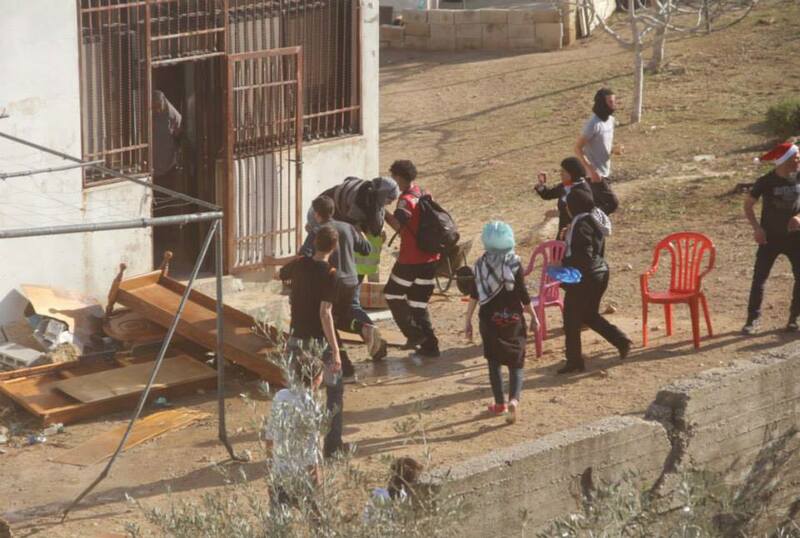 Another girl from Nabi Saleh was also taken to hospital after being hit with skunk water. Dozens protestors have also suffocated from tear gas shot at them during the protest. 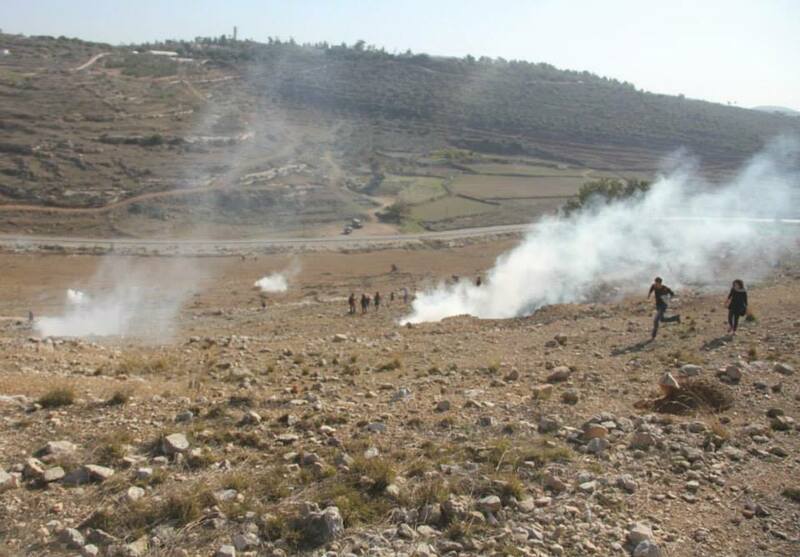 Israeli forces attacked the protestors in the village who protest weekly against the settlements with tear gas canisters, sound grenades, rubber bullets, rubber coated steel bullets and skunk water. 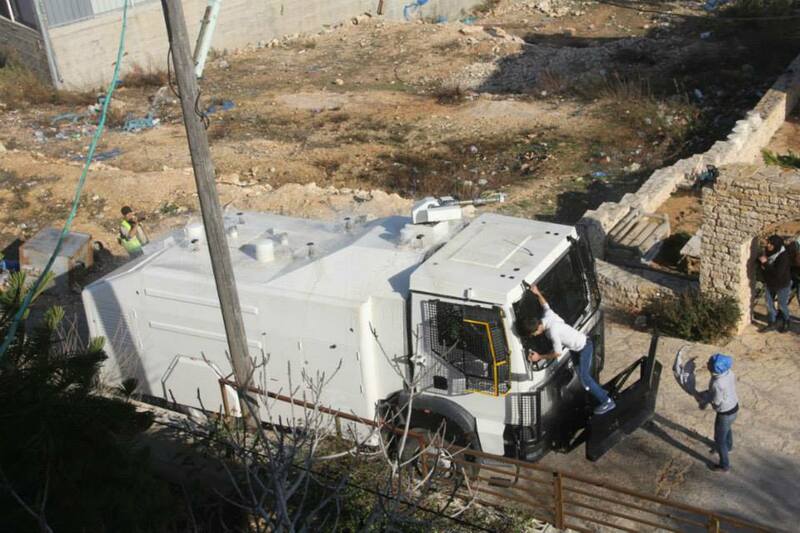 The video below taken by Bilal Tamimi shows the shooting of Manal Tamimi from a close range. 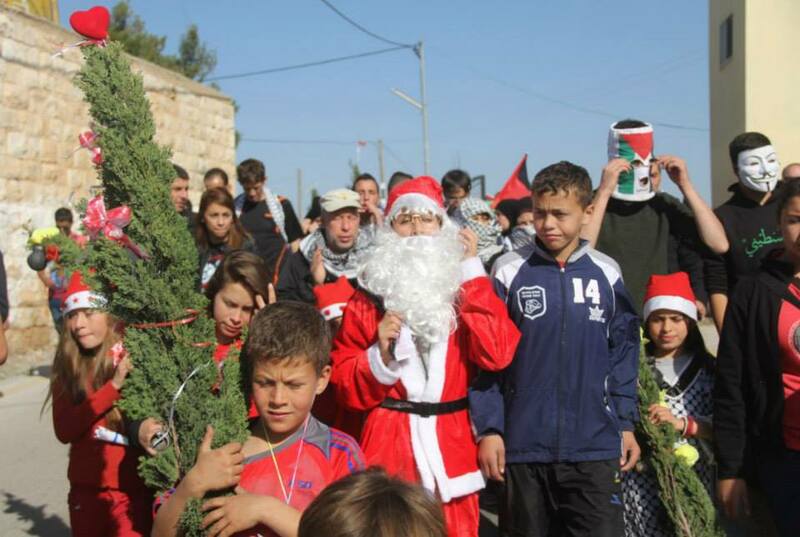 Christmas in Nabi Saleh: IOF shoot Manal Tamimi and injure four others. An Israeli Border Policeman was videotaped shooting Palestinian activist Manal Tamimi in the leg with a rubber-coated bullet from very close range in the Palestinian village of Nabi Saleh on Friday. 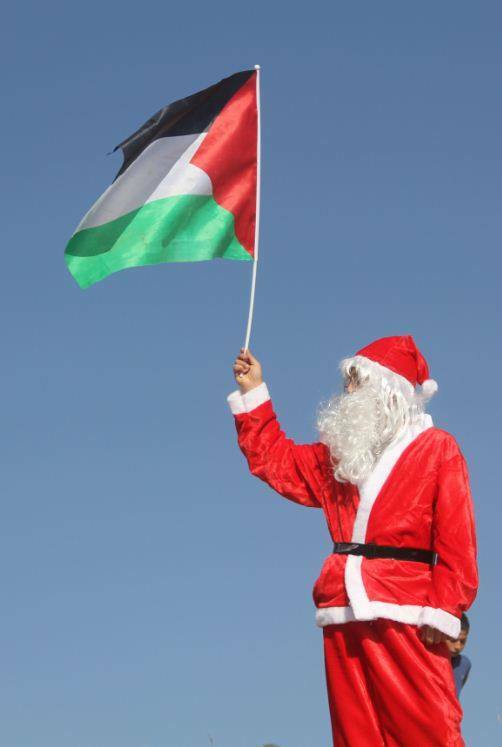 According to Bilal Tamimi, who shot the video, and a report from the Palestine News Network, the border policeman was no more than a few meters from Manal when he shot her in her knee region, reportedly causing a fracture to her bone from the impact. 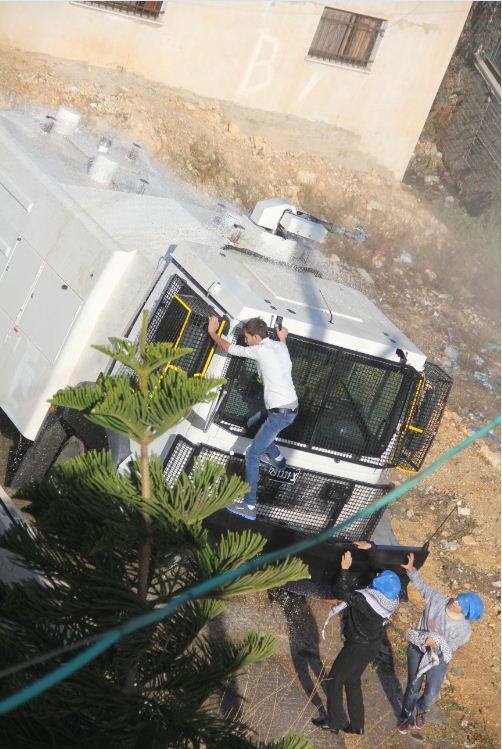 Tamimi told +972 they also tried to break his camera. In the video below you can see the unarmed Manal walking up to the armed Israeli forces when one of them shoots her from what appears to be a frighteningly close distance. It is unclear what threat she was posing that would warrant the use of firearms. Israeli forces shot large amounts of tear gas, sound bombs, skunk water and rubber-coated bullets at protesters in the village, according to several reports. In addition to Manal, two journalists were lightly injured and a girl was taken to the hospital after being hit with skunk water. Several homes and other property were damaged as a result. Earlier this month, the IDF closed an investigation into the killing of Mustafa Tamimi, who was shot in the face with a tear gas canister from only a few meters in 2011. In its decision to close the investigation into that deadly shooting, the army claimed that no regulations were breached during the incident and accepted the soldier’s testimony that he didn’t see the victim when shooting from the military jeep. BETHLEHEM (Ma’an) — Activists from Nabi Saleh have released a video showing an Israeli soldier shooting a Palestinian woman in the leg at close range following clashes on Friday afternoon. 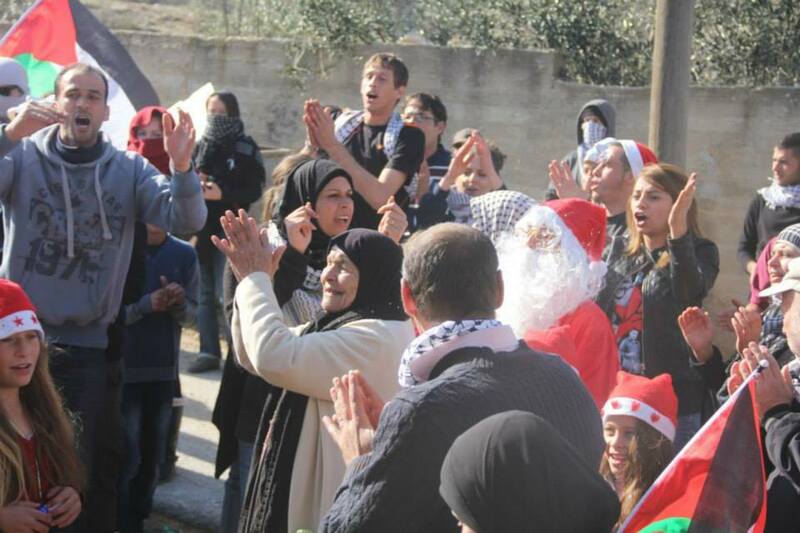 It is at this point that local activist Manal Tamimi confronted the troops and was subsequently shot. 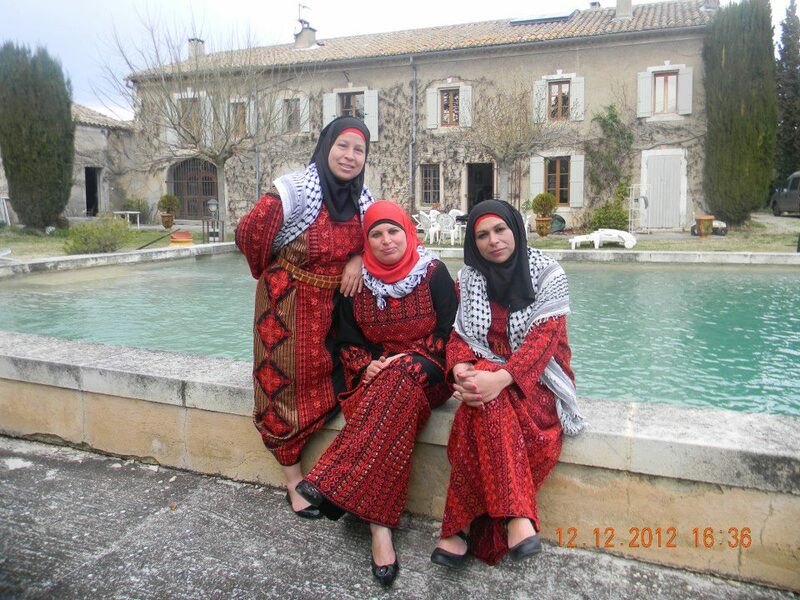 Three of the leading woman activists from Nabi Saleh are currently on speaking tour in France. 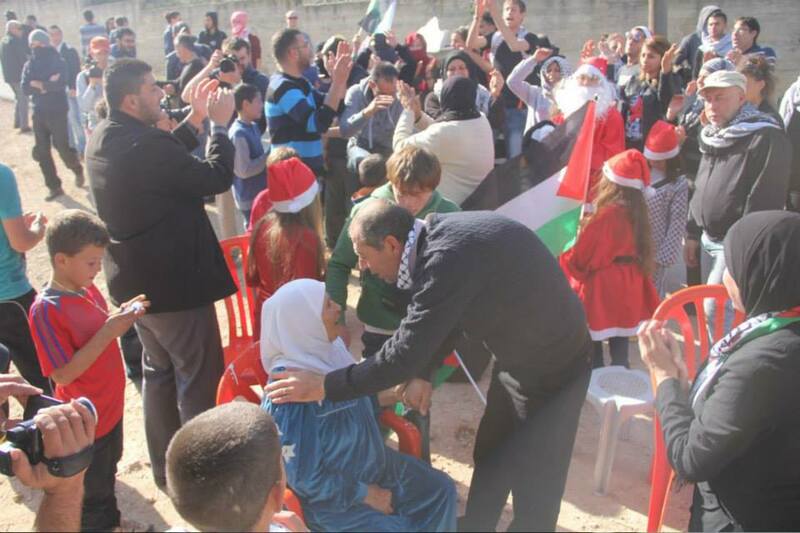 Manal Tamimi, Nariman Tamimi and Boshra Tamimi have spoken at a number of meetings, with their visit covered by some of the French media. 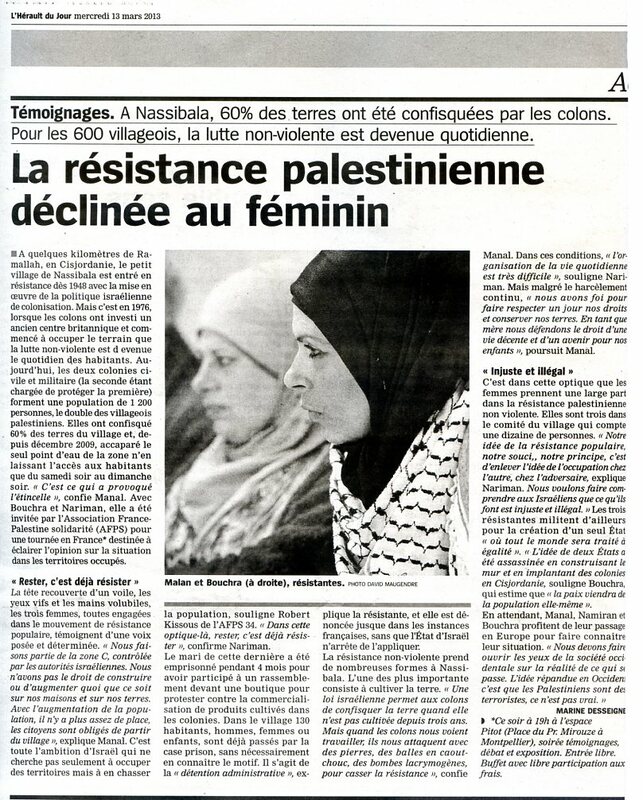 Below is a report in French about one of the solidarity meetings, along with clippings from the French media. Nariman Manal et Bochra de Nabi Saleh ont séjourné les 12 et 13 mars à Montpellier. Une conférence de presse – tenue dans les locaux du CCFD/Pax Christi qui nous ont accueillis – a réuni les journalistes des deux quotidiens de Montpellier, le rédacteur en chef du journal du diocèse, et des représentants de deux radios (dont RCF). – Une rencontre avec une vingtaine de personnes du CCFD, de Pax Christi et de l’ACAT s’est tenue ensuite avec des échanges fructueux. Les sujets abordés : la résistance populaire non-violente, la place et le rôle des femmes, les prisonniers ont permis d’aborder des questions auxquelles Nariman, Manal et Bochra ont répondu en traitant le niveau local et le national, situant leurs actions sur le plan politique de la lutte du peuple palestinien contre l’occupant. 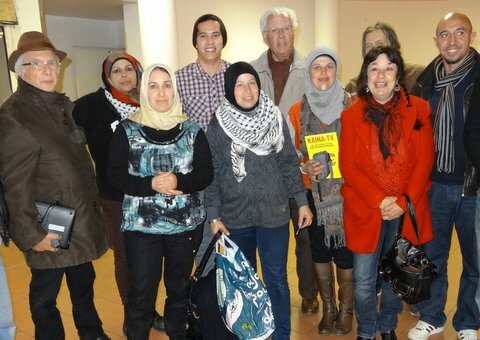 Après un repos bien mérité à la mer et une « ballade » dans Montpellier pour nos trois amies palestiniennes, 90 personnes sont venues à la rencontre du soir. Après le témoignage des femmes, la vidéo sur Nabi Saleh a été suivie d’un moment d’intense émotion. Le débat a été riche. Beaucoup de questions sur la résistance populaire et les prisonniers. Comme lors de la conférence de presse, les trois femmes ont toujours relié leur lutte à celle de leur peuple en indiquant que celui-ci est bien déterminé à mener la lutte jusqu’au bout. A la fin du débat des amis de Kaïna TV (télévision locale associative par internet) ont remis deux caméras pour Nabi Saleh afin de remplacer celle qui a été brisée. Ce fut moment très fort et émouvant. Merci à toutes ces personnes qui ont permis que cette soirée soit intense et riche en émotions.